Make the business case for high-tech patient care. 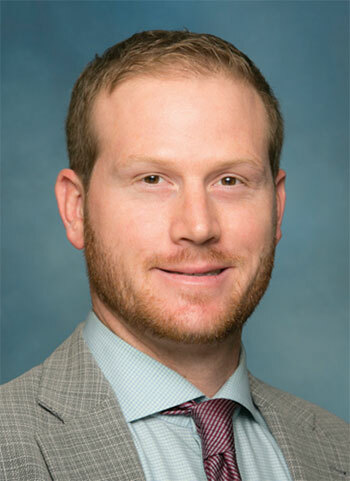 Dan Weberg, PhD, RN, is senior director of innovation and leadership for Kaiser Permanente’s national nursing leadership and strategy team and a core team member for technology and interprofessional curriculum for the new Kaiser Permanente School of Medicine. Weberg advocates for nurses’ expanded role in healthcare innovation, citing their unique patient care expertise. We interviewed Weberg about emerging technology trends and why RNs deserve a seat at the innovation table. What can nurses expect to see regarding technology trends? First, with mobile technology, more resources and capabilities for smartphones and other mobile technology will enable nurses not only to access information but also to help them streamline their work—all on one device. Second, artificial intelligence (AI), which is a machine’s ability to use algorithms to parse through lots of data and find patterns, will help nurses manage increasingly complex patient care. AI will give nurses more reliable and insightful data and information at their fingertips. Third, nursing education will continue to be revolutionized with virtual reality and advanced simulation tools so that nurses can learn more and learn faster. What roles do nurses play concerning innovation? Although a handful of nurses have innovation roles, tech developers generally go right to physicians for information, so nurses’ voices are missing at the development stage. Nurses’ input is critical because they are patient advocates in and out of the hospital, and RNs understand how to improve workflow. Applying that longitudinal knowledge of how patients experience healthcare is hugely important. When vendors come to the hospital to pitch their ideas, nurses should be in the room to communicate their everyday work and to question and advocate. That’s the leadership needed. How will nurses use emerging innovations to streamline or simplify the way they deliver care? Tech will allow nurses to use our data expertise even more effectively, and not just in hospitals. We’ll be able to monitor for and prevent emergencies and engage patients without having to make them travel to us. With these technologies, we can do visits wherever people are—bus stops, homes, airplanes, cars, and more. Most providers can do virtual visits, but nurses can take that to the next level and do virtual home and family assessments. How can nurse innovators advocate for increased access to healthcare tech tools for underserved populations? Nurses are in a unique position to see the psychosocial aspects of patients that a lot of other healthcare providers don’t see. The challenge is to show how this technology can help underserved populations who have less access to physical facilities. As nurses, we need to help create that business case and use data to prove tech can improve care. Studies have shown that this type of technology decreases emergency department visits. The American Nurses Association’s (ANA’s) new Innovation Framework highlights the need to cultivate and inspire future nurse innovators, ignite nurse-led innovation, and celebrate nursing innovation. How is ANA’s Innovation Framework important for nurses? In general, nurses innovate on a daily basis. They find ways to deliver care despite broken systems around them. One of the ways we can cultivate nurse innovators is setting up formal methods for all nurses, no matter what level of the system they’re in, to share ideas that could improve care. In nursing education, we should be teaching our nurse leaders how to be change agents and innovators. We should be developing innovative ways to train new nurses and ensure that they are “innovation competent” when they graduate. As nurses, we need to be calculated risk takers while keeping patient safety paramount. That way, we raise nurses who don’t accept the status quo and are always questioning and seeing what’s next. Interview by Elizabeth Moore, MFA, a writer at ANA.